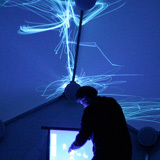 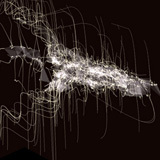 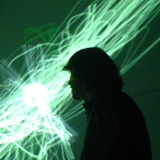 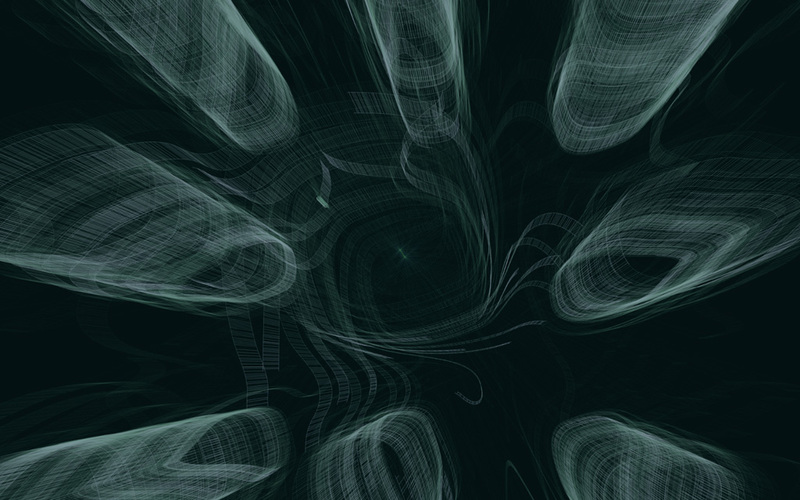 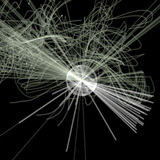 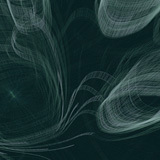 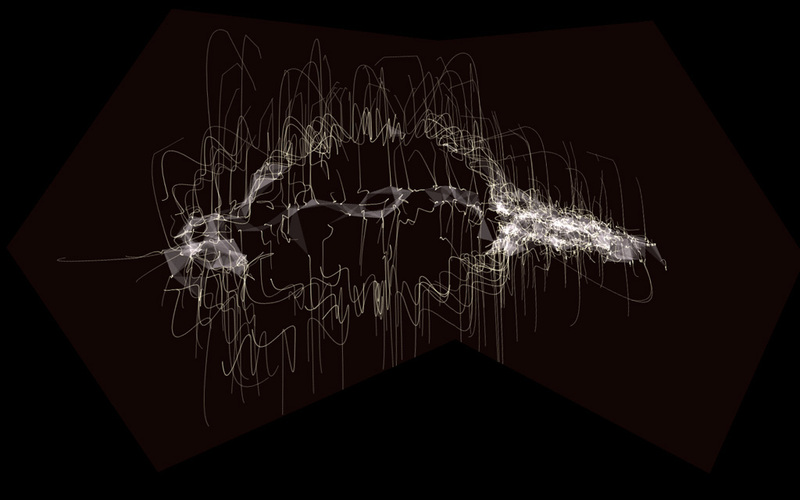 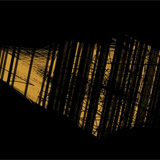 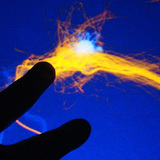 Flowspace realizes a swarm simulations based interactive and immersive audiovisual environment. 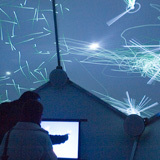 The swarm manifests itself on three different levels: as immediate and tangible visualization on an interactive surface, as a visual rendition on the installations outer boundary and as an immersive three dimensional musical projection. 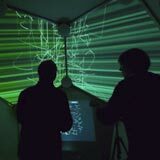 flowspace is an experiment that explores the establishment of relationships between the autonomy and dynamics of an artificial entity, the visitors' action, perception and awareness and generative forms of artistic and musical expression. 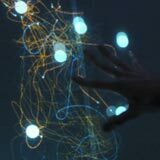 Flowspace forms part of our artistically motivated research into shared forms of presence that combine humans and autonomous artificial systems. 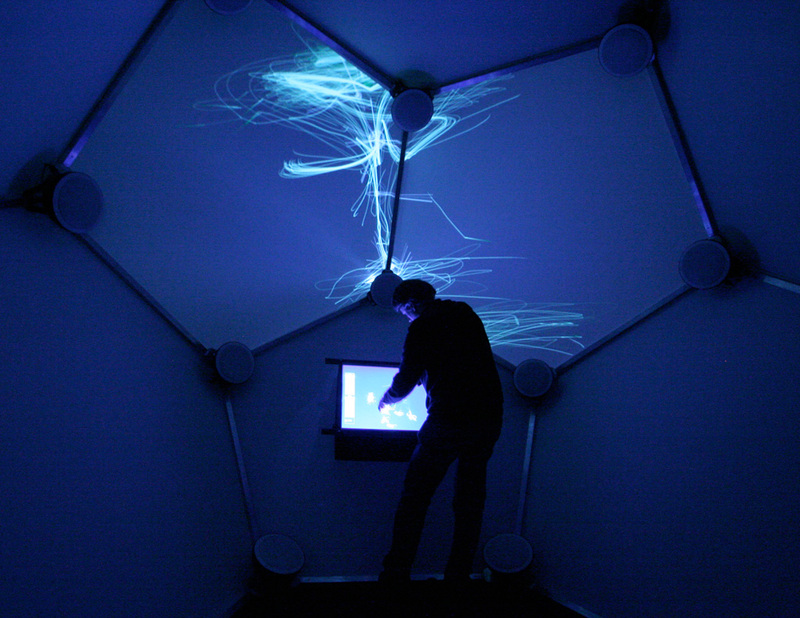 In particular, we experiment with intuitive and tangible forms of interaction that aid to bridge the gap between artificial and natural spaces and try to create differentiated forms of immersion which engage the audience on perceptual, emotional, social and intellectual levels. 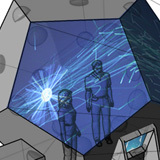 The physical structure of Flowspace consists of an aluminum framework in the shape of a Dodecahedron that aligns 20 speakers for three dimensional ambisonic sound projection. 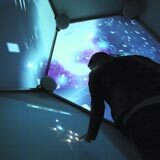 The Dodecahedron is covered with white cloth for video rear projection and thereby creates a confined environment of 3.6 meter diameter. 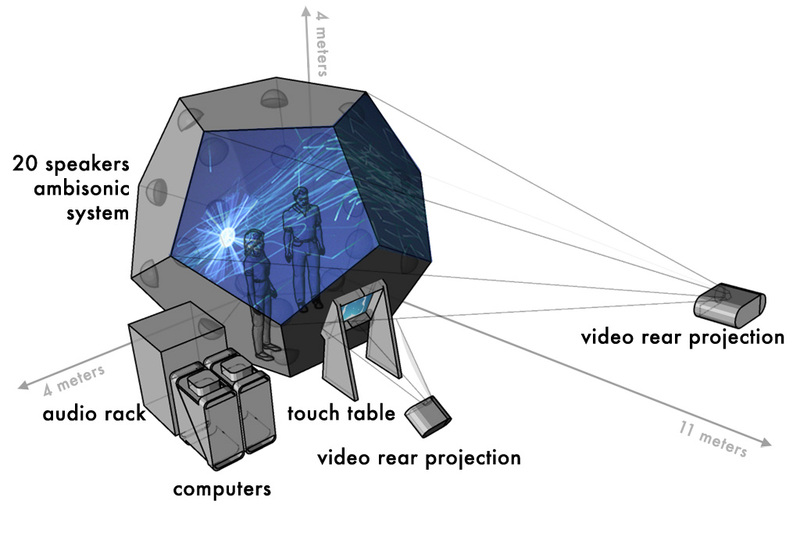 A tactile surface that combines a camera based infrared tracking system and video rear projection provides the interface for interacting with the swarm simulation. 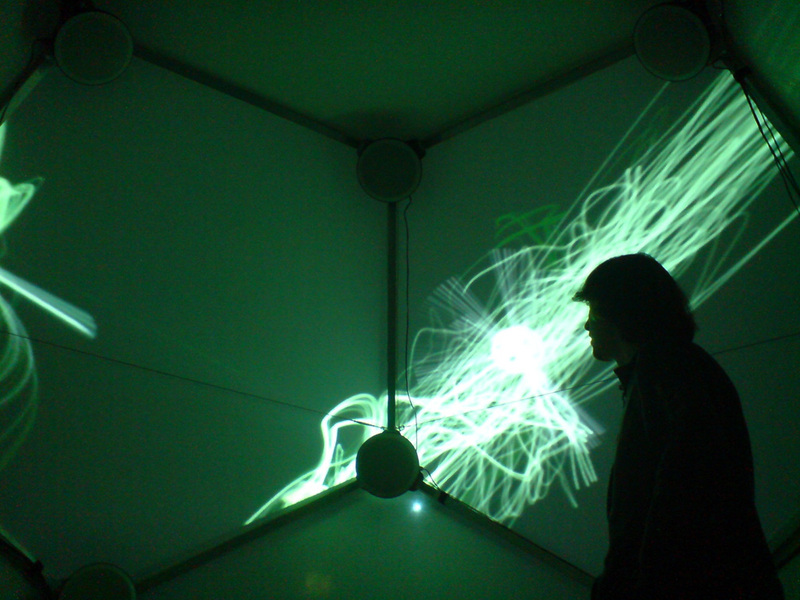 Flowspace allows visitors to choose among three different swarm based audiovisual creations. 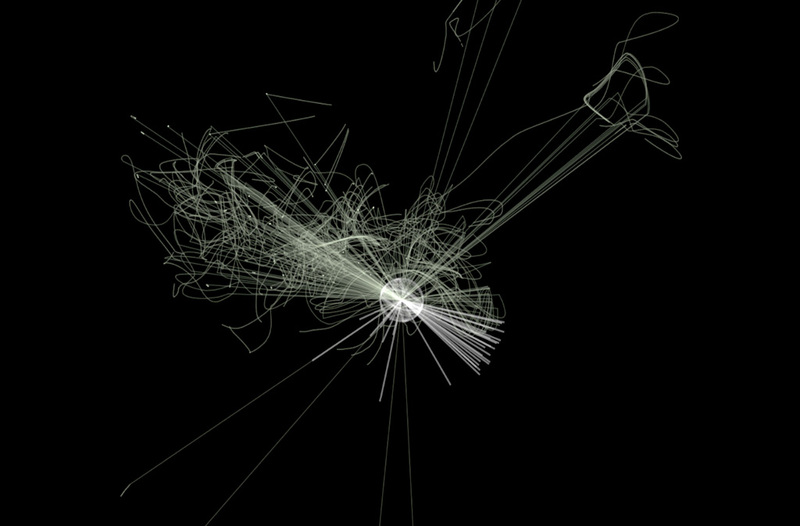 Each of these works combines its own unique simulation, imagery and musical realization. 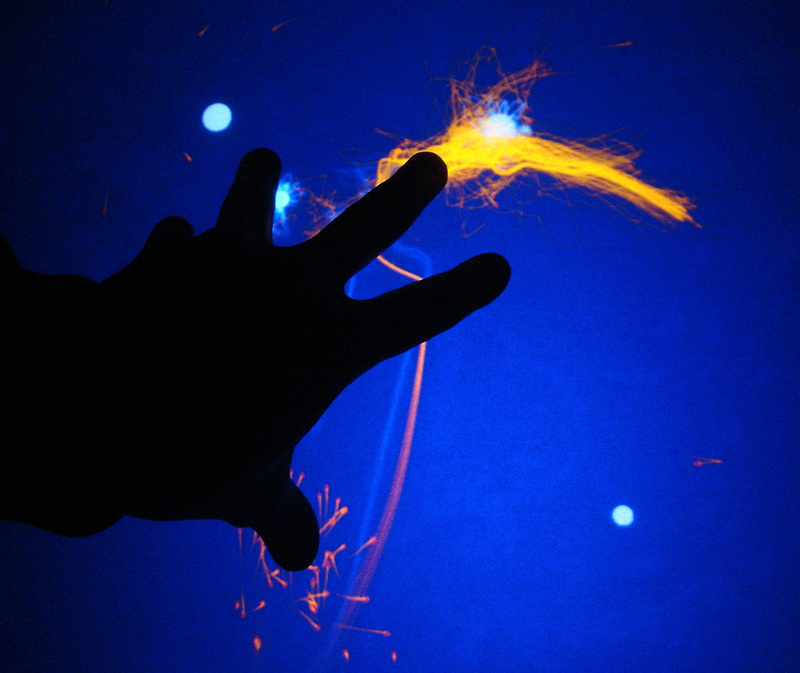 The position of the visitor's fingertips affects the spatial distribution of virtual points within simulation space to which the swarm responds via its specific behaviors. 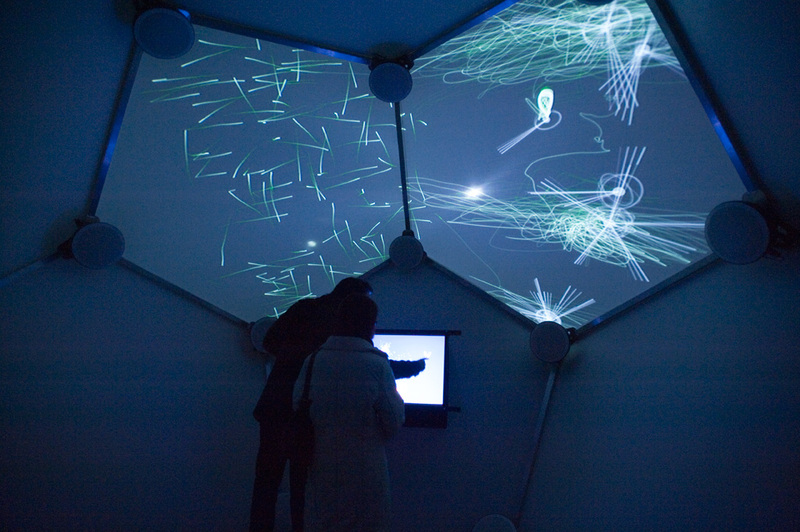 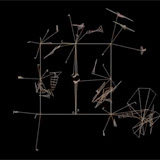 The combination of a virtual environment that is affected by the visitors interaction and the swarms idiosyncratic and autonomous behavior controls the development of the musical and visual works.